Fizzlebert Stump lives in a circus. His mum's a clown, his best friend is a bearded boy, and he sticks his head in a lion's mouth every night. Other than that, he's pretty normal. When Fish the sea lion goes missing Fizzlebert tracks down the runaway beast to the Aquarium, with its piratical owner Admiral Spratt-Haddock, invisible octopus, and colour-coded fish. But the Aquarium has problems of its own. Fish (not Fish the sea lion, fish. Keep up.) are going missing, and the Admiral blames the circus. 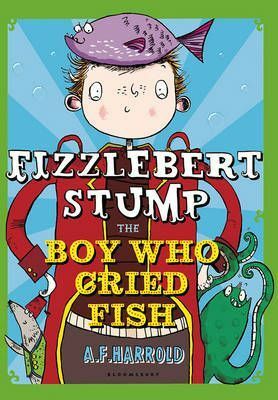 Can Fizzlebert solve the mystery, avoid an over-enthusiastic crocodile, and find his friend?